is it helping customers increase revenues? Solving the business problem one is paid to solve? Delivering on time and on budget? The ability to be more flexible and responsive than your competition? Creating the kind of customer loyalty that enables new problems to be solved? In my reading of traditional American vs. Japanese business culture and history, the Americans focus on the first of these and attempt to quantify them with some sort of ROI equation, whereas the Japanese focus on the last of these, achieving the first of these as part of the bargain, and changing the game in the process. Regardless as to whether one is managing tactically or strategically, the freedom that comes from focusing on the business problem, not the bit problem, is the antidote to the technology blindness that so afflicts most modern entrepreneurs. The second benefit is that of transparency. The goal of Sarbannes-Oxley is transparency, and yet many provisions and requirements of that act are so burdensome that the benefits of transparency are lost in a quagmire of reporting requirements. 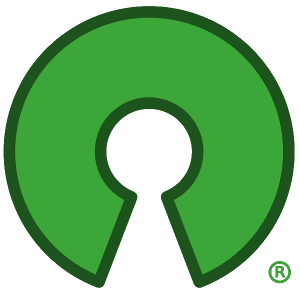 By contrast, open source software provides a natural transparency that can become pervasive. Open source can encourage institutional transparency by acting as a constant reminder that secrecy, more often than not, is the refuge of the incompetent. Again, many entrepreneurs and many companies live in a constant state of denial, be it about their employees, their products, their quality, or their strategy. Sufficient transparency encourages one to actually address problems rather than putting energy into hiding them. The third benefit (and I'm sure it will be a popular one among the other bloggers--Stephen already mentioned it) is user-driven innovation. It impossible to fairly estimate the benefit that accrues from unexpected people using software in unexpected ways to solve real problems you never knew even existed. The benefits of intellectual diversity, the robustness that derives from whitebox and out-of-the-box usage testing, the realization of innovation potential, all these come when a billion connected people are equally able by law to become user-innovators. Believing that you need venture capital to start an open source business. In the same way that "Breast is Best" for rearing healthy babies, I believe that 95% of all venture capitalists will do more harm than good when it comes to investing in open source companies. I believe they will pick the wrong ideas, fund them for the wrong reasons, and then complain bitterly when their investments fail. Instead of trying to educate an industry that doesn't understand open source (yet), look for ways to create your company organically. I would estimate that today there is 10x more money being knowingly wasted on poor proprietary solutions than is available for all software VC, and this suggests a remarkable opportunity to do well by customers who have already demonstrated a need and a willingness to pay. Convince them that you can staunch their losses with open source, and then spin out to success!